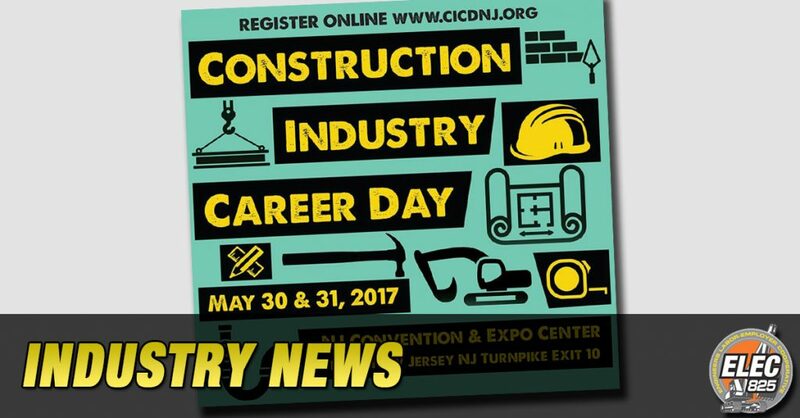 ELEC825 is proud to sponsor Construction Industry Career Day, May 30-31, 2017 at the NJ Convention & Expo Center. This two-day event showcases the construction industry’s educational opportunities and occupations, while providing participants with hands-on activities within many of the trades. Tuesday, May 30th from 4pm-8pm is open to the public and welcomes veterans, underemployed, unemployed, students, parents and those looking for a new career. Wednesday, May 31st from 8am-1pm is reserved for High School Students. We strongly recommend bringing Juniors.